1. Meat sauce – cook onions, mushrooms and garlic until soft, and then add mince. Add in carrot, zucchini, beans, herbs, paste, tomatoes and red wine. Lower heat and simmer for 30 mins. 2. White sauce – melt butter and flour together in a pan and slowly add in milk while continually stirring. Add pepper to taste. 4. 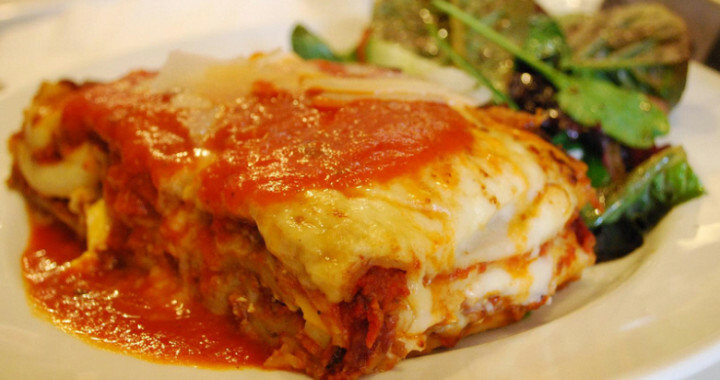 Prepare lasagne layers in a baking dish with meat, white sauce and sheets. On the top layer, pour remaining white sauce and add a sprinkling of grated low fat cheddar or parmesan. Cook for 45 mins. 5. Serve an 8cm x 8cm piece with a healthy side salad! Onion and garlic – great for colds and eliminating phlegm and symptoms, boosts immunity. Carrots – rich source of beta carotene (Vit A), B1 and B2, potassium, sodium and silicon. Helps night vision, inhibits cataracts, treats indigestion and protects against cancer. Helps improve skin appearance and calcium absorption. Parsley – good for flushing out kidneys and eliminates fluid retention. Strengthens digestion and promotes delayed menstruation. Lightly toast the pinenuts and slivered almonds under the grill. 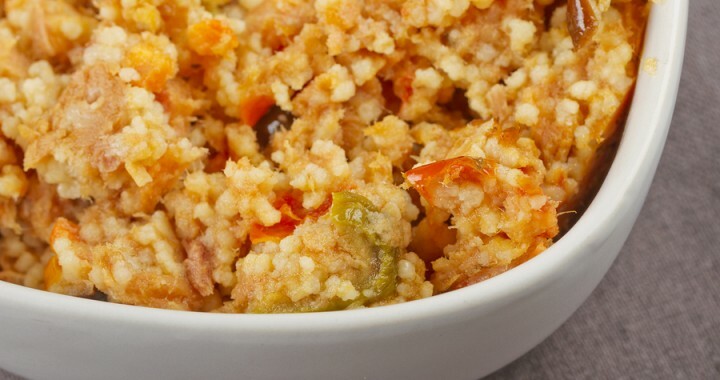 Cook the cous cous with the vegetable stock until absorbed and light and fluffy. Combine everything in a bowl and sprinkle with parsley. Serve cold. Olives – purchase olives in water / brine for less fat – they are a good source of monounsaturated fats and vitamin E. Black olives have a higher mineral content. Carrots – rich source of beta carotene (Vitamin A), B1, B2, potassium, sodium and silicon. They help with night vision, inhibit cataracts, treat indigestion and protect against cancer. They also help improve skin appearance and calcium absorption. Cut sweet potato into small cubes, mix in bowl with herbs, garlic and olive oil (enough to coat potato entirely). Place sweet potato on oven tray and put in 200 degree oven for approximately 30 minutes (enough to create a soft, yet roasted texture to the potato). To roast pinenuts: place pinenuts on oven tray in hot oven for approximately 5 minutes (keep an eye on them because they easily burn). Place baby spinach, cottage cheese, potato and pinenuts in a bowl. Mix together gently and serve. 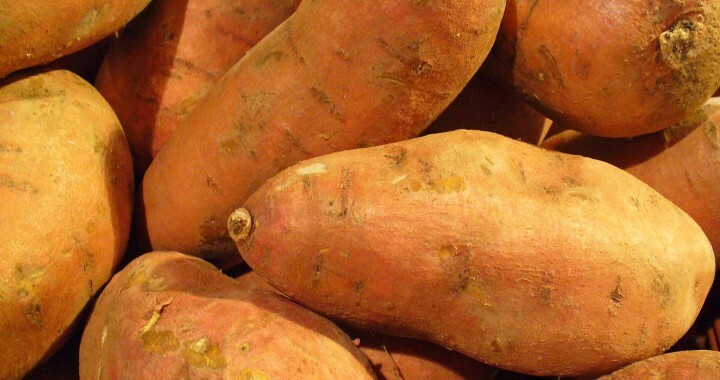 Sweet potato can be made prior, however don’t mix all ingredients until ready to serve. This will keep the salad fresh. 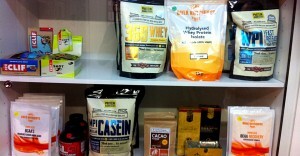 Joel’s Fitness carries a range of supplements to assist you in reaching peak performance. All our products are of the highest quality. High Protein, Low Carb, Low G.I, Gluten Free, High Digestibility, Free from anything artificial, Proteins used are Halal & Kosher, Low Fat, Fast and Slow breakdown, Undenatured, 100% natural, GMO Free. Undenatured (low heat extraction), Premium Grade, Low Fat, Gluten Free, Hormone free, Low Carb, High Protein. BCAAs have long been studied, showing benefits in reducing muscle soreness, faster recovery time, reduced creatine kinase (which is a good indicator of recovery) and a better retention of maximum muscular force. Place all ingredients (besides garnish) into a blender or food processor and blend until combined. If it’s too thick, add a tablespoon or two of water. Garnish with paprika and shallots, and store in the fridge for up to five days. 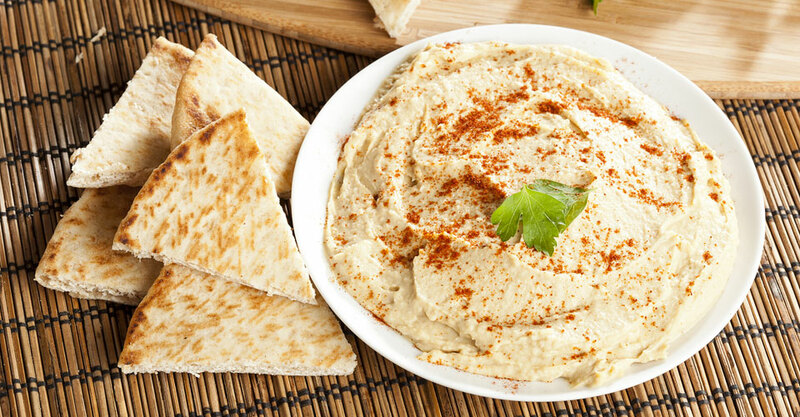 Hommus is great to have as a snack with multigrain crackers or chopped up vegetables. Chickpeas are a fantastic source of protein, fibre, iron, potassium, Vitamin B1 & B2, and are low in fat (3g per cup) and sodium. They also help lower cholesterol. Lemons are a great source of Vitamin C and bioflavonoid (Vitamin P), enhancing Vitamin C.
Tahini is a great source of protein, calcium, omega 6, magnesium, iron, zinc, Vitamin A, E and B3. Another variation is to include mushroom (blended or as a garnish). Button mushrooms are rich in potassium, phosphorus, copper, iron, B1 & B2. Mushrooms also have beneficial qualities in reducing blood fat levels, antibiotic properties, and are easily digested.